Every year I get a number of requests from people looking for a recipe for great Pumpkin Ice Cream. In my book, The Perfect Scoop, I have a recipe for Sweet Potato Ice Cream studded with maple-glazed pecans, but there’s something about the fall that also makes people think squarely of pumpkin. I’m a big fan of sweet potatoes, personally, but old traditions die hard. So a Pumpkin Ice Cream recipe got moved to the top of my to-churn list. As luck would have it, I was leafing through a copy of The Craft of Baking by pastry chef Karen DeMasco, and l thought I’d give her recipe a spin in my ice cream machine. Karen uses canned pumpkin, which a lot of people like to use because it’s easy and consistent. But it’s not so easy to find in Paris. And I’m still a bit old-fashioned and like to make my own puree. It’s easy to make. Just peel and cube a sugar pumpkin (or a butternut squash, or kuri squash, like I used here), spread the cubes on a baking sheet with a little neutral-tasting vegetable oil, and oven roast in a moderately hot oven for 15 or so minutes, until soft when poked with a knife. You can also cook the cubes in a pot of water on the stovetop until tender, then drain them well before pureeing. The kuri squash that I used are intensely flavored and colored, and the skin is edible, hence the lovely little orange flecks in the ice cream. I added some spice and a dash of whiskey at the end, which pairs nicely with the flavor of the pumpkin and gives the ice cream a creamy, scoopable consistency. So I’ve got a batch in my freezer, in preparation for the holidays. 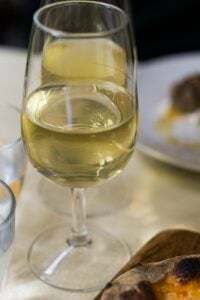 I’m thinking of serving it alongside gingerbread, but it would also make a wonderful base for some ice cream puffs with warm salted butter caramel sauce and toasted nuts. Or even atop Warm Individual Spiced Chocolate cakes. Inspired by The Craft of Baking by Karen DeMascoIf using canned pumpkin, make sure to find one that’s 100% pumpkin. Often you’ll find cans of Pumpkin Pie Filling, which usually has spices and sweetener already added.Press the mixture through a fine mesh strainer before freezing, as directed. Pumpkin can be slightly grainy and straining the custard is a good idea to help smooth it out. 1. Make an ice bath by putting some ice and a little water in a large bowl and nest a medium-sized metal bowl (one that will hold at least 2 quarts, 2l) inside it. Set a mesh strainer over the top. Pour the cream into the smaller bowl. 2. In a medium saucepan, warm the milk, granulated sugar, and salt. Whisk together the egg yolks in a separate bowl. 3. Whisk about half of the warm milk into the yolks, stirring constantly. 5. Scrape the warmed yolks back in to the saucepan and cook over low heat, stirring constantly and scraping the bottom with a heatproof spatula, until the mixture thickens and coats the spatula. If using an instant-read thermometer, it should read between 160º-170ºF (71º-76ºC). 6. Immediately pour the mixture through the strainer into the heavy cream, in the bowl nested in the ice bath. Stir for a few minutes until it’s cool, then puree the custard in a blender with the pumpkin puree, brown sugar, vanilla, cinnamon, ginger, pepper, and whiskey or brandy, if using. (Wipe the bottom of the bowl dry before pouring as you don’t wan to get any water into the custard mixture.) Chill thoroughly in the refrigerator, preferably overnight. 7. Freeze in your ice cream maker according to the manufacturer’s instructions. Variations: Stir in 1 to 1 1/2 cups (250 – 320 g) white or milk chocolate chips, crushed caramel, chopped up Skor or Daim (toffee) bars, or chopped toasted pecans or walnuts. A bit of chopped candied ginger would be nice, too. Leftover bits of crumbled gingersnaps or gingerbread, or even toasted bits of brown bread or gingerbread could also be folded in, or crumbled on top for serving. oh this is just perfect. that color…I wish I could taste this. yes, perfect for the holidays indeed and something different from the norm. Beautiful pumpkin ice cream! It is one of my most favorite treats. So much better homemade. Nothing is better than pumpkin ice cream right now!! I made pumpkin ice cream using a bag of “pumpkin puree” I found in an asian grocery store. It wasn’t pure pumpkin, as it also had white bean paste and malt syrup in it but it was wonderful. Everyone who had it loved it. I’m not a big fan of pumpkin, so I might actually like a sweet potato ice cream. I did, however, get a request from a friend also and this is the recipe that I used. It was *extremely* thick (took, like, 5 minutes in the machine), but got rave reviews. The recipe you’ve posted looks like it’ll be a bit lighter with the higher content of milk; perhaps I’ll try that next. Thanks! Thanks for another great post, David. Having made the tasty granola several times, I will now proceed toward pumpkin ice cream! david-this is great! i was just going to try your sweet potato recipe, but i can use this now! i, too, like to make my own puree and have quite a bit from the sugar pumpkins i roasted this week. its hard not to steal a spoonful when its going through the food mill. Yes, pumpkin sounds great, but when you said sweet potato ice cream, that immediately struck a chord. Must find that one! David, that sounds heavenly! I am now toying with the idea of making it for a Thanksgiving presentation I’m giving the pre-schoolers in my son’s nursery…might be a more sure-fire hit than pumpkin pie. SO DAVID – I read a post recently from you that said if we needed to get an answer from you on something the best form of communication would be to post the question in the comments. So here’s a question, with a difficult predicament. If I ask a question, on some other blog platforms I can subscribe to the comments to see if there’s been a response. I don’t see that option here. Am I being blind? Is there a way to be notified of follow up comments? Speaking of forgotten vegetables, for several years I sold cakes (as a guest producer) at farmers markets in Normandy on the 1st May bank holiday. Many customers seemed to be weekenders from Paris. The first year (maybe 2004) I dealt with incredulity at the concept of root vegetables in cakes but the carrot cakes sold out after tasting. The next year customers bought into the idea of chocolate beetroot cakes but both times I went home with the lemon (parsnip) drizzle cakes. Only by omitting the veg from the description did I manage to sample and sell the lemon cakes in the 3rd year – if the customers read the ingredients when they got home, the choice to eat was theirs! I’m glad to hear the Parisians are finally overcoming their resentment of the vegetables which sustained them during their most difficult times. Meg: Interestingly, when I’ve asked people where to get root vegetables, I was told I had to go to the branché (trendy) markets. Which had me scratching my head. I think the old generation kind of avoids root vegetables (except potatoes, which they love), but people in their 30s are discovering them. I do find some at various markets, but am surprised they’re not more well-used here, since the French love potirons and beets, you’d think parsnips other root vegetables would be a hit. David, I saw a woman with a butternut squash in her shopping cart that looked like the one that caused some stares. I had to take a second look, the neck was so long! I have some sugar pumpkins ready to be roasted for a pumpkin ice cream, so thanks for the kick in the behind, they will be in the oven shortly. I have to have it soon! BTW, you might want to fix the link for Karen’s book, it brings to your book’s amazon page. I never thought of that. What a great idea. I love pumpkin… and ice cream. It would never have occurred to me to use butternut squash as anything other than a savoury vegetable, or sweet potatoes, either, come to that! An interesting idea, thank you. This looks delicious! 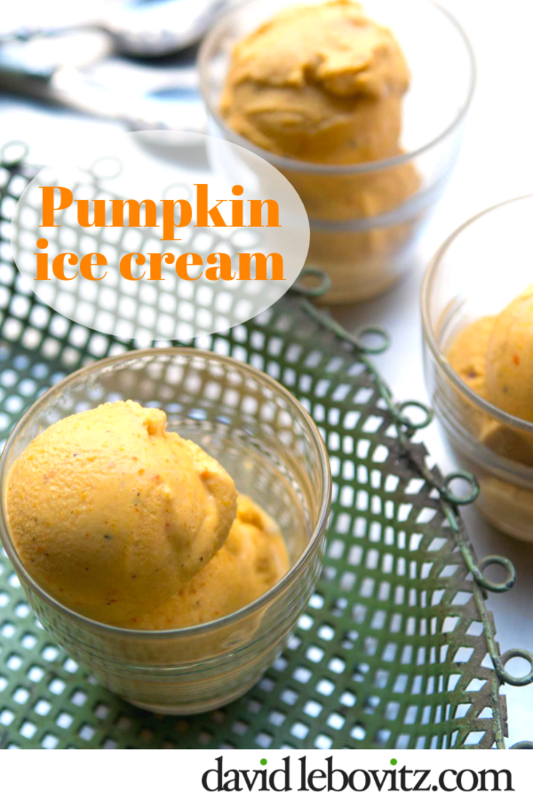 I never thought of making pumpkin ice cream. Would this go well with apple pie instead of vanilla ice cream? I was wondering where you found butternut squash in Paris! I’ve been pining after some. Also, I love pumpkin ice cream, but now I really want to make sweet potato! Brilliant. I am glad to see this post and that you made a Squash ice cream. I stayed up late the last two nights roasting squash and making squash ice cream and pudding as an experiment. I have never worked with squashes before until this fall. I wish I would have waited a day to read your post and your note about straining the squash/pumpkin mixture. I was able to figure it out by the time I cooked up the custard mixture for the ice cream. But I didn’t do it for the pudding–it tastes good but the texture is ruined by all the stingy pulp. It looks like it has celullite. Being a non North American, and a fairly recent immigrant to Canada, I have only just granted the pumpkin access to my dessert repertoire. 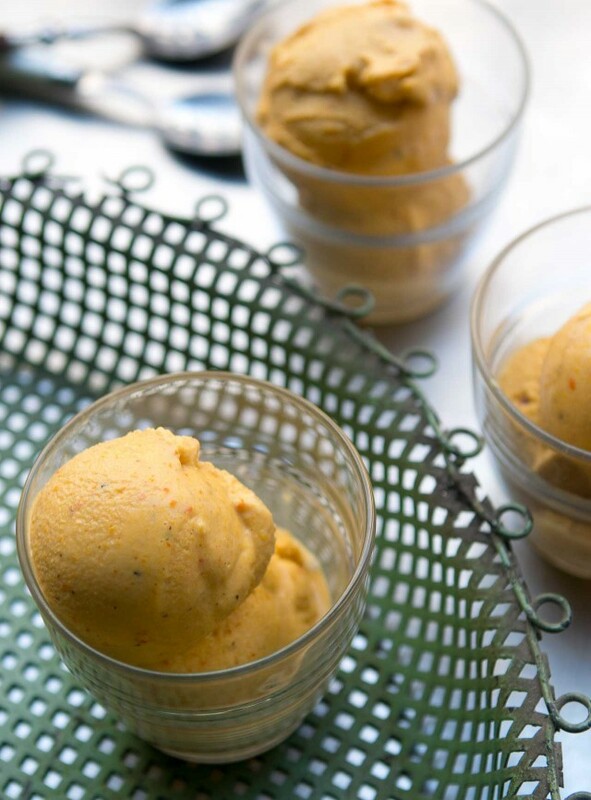 Pumpkin ice cream… that definitely raises the bar. Which is not to say I don’t like it. But the inviting golden colour often misleads me into expecting another flavour…. Caramel? Butterscotch? Nope – definitely pumpkin. If I try this I think I’d go for your inspired idea of adding crushed Daim bar, or perhaps swirl in some dulce de leche as it freezes. On a side note – I just read your book ‘The Sweet Life in Paris’, which I greatly enjoyed – and it’s now moved from my bedside table to my partner’s… I was especially happy to find a instructions for DIY crème fraiche, which isn’t readily available where I live. Thirty dollars well spent. ED is really cool for vegetables, I’ve always found some nice items on their shelves, and (usually) everything is fresh. It’s the only discounter supermarket in france with this level of quality for greeneries. I love their haricots cocos, and les radis noirs. This extra long butternut squash is amazingly elegant, I love those lines that have a voluntary aspect :D. It is surely very good in this ice cream, but before cooking it I think I’d wait and place it on a base, for giving everyone a chance to admire it :) . When I was gardening at my granmother’s garden, I usually kept the most beautifull long or round pumpkin and I let it ripen until the end, to make it fibrous and to let it aquire it’s most beautiful colors. then, I had it decorating my house for weeks. It’s wonderfull what nature can produce, I’ve always considered those fruits as a work of art. I now understand your dilemma with making pumpkin ice cream. I think the pumpkins sold by the slice are the Cinderella varietal, and yes, the flesh tends to be quite watery. If you have access – and I’m guessing you don’t – two other denser varieties may work well, red kuri and kabocha. I bought a huge jack-o-lantern pumpkin and did not need it for that purpose, so I baked it, in two batches as it was too big for the oven. I then used the food mill and cheese cloth to separate the pulp from the juice. I now have 5.5 lbs of puree, and 3 gallons of juice, which is quite sweet. The puree will be easy enough to use up, in pumpkin bars, pies, bread, etc., but I have no recipes for the juice. Any ideas? The pulp is amazingly good. I wonder if it is a different variety yet than the ones that people say are not as good. The color of your pumpkin ice cream is gorgeous! 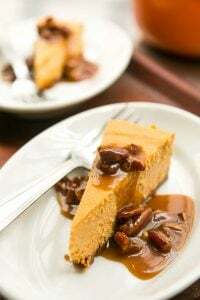 I made a pumpkin/yam pie last year that included cooking them down together to remove some of the water from the pumpkin puree and intensify the flavor. It also included some maple syrup (and I added some bourbon to it as well). It was a perfect marriage and the texture was wonderful. Once the cream was added, the first thing that came to mind was ‘wouldn’t that make a perfectly flavored ice cream?” You’ve inspired me to try it, but with your recipe formula..and some bourbon as the liquor. Thanks for this! 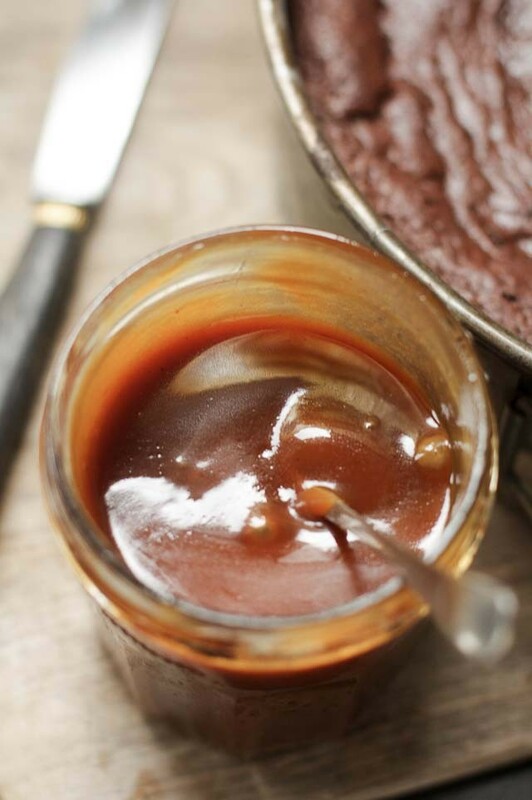 I like to make my own puree too, but I have noticed that not everyone else likes it, and many pro pastry chefs/cookbook authors who can do both…still recommend the canned suff. I have noticed a very big difference between different brands of canned puree, in flavor, smell, texture, but more of all, color. And when I make a pumpkin pie from a fresh pumpkin, what seems to throw people off, if they notice anything, is the color. I have always wondered why Libby brand is that deep, bright, russet-y, yam-esque orange. MMMMM, this is a perfect way to use of one of those cinderella pumpkins I grew this year. I love love love some good pumpkin ice cream! Mr Chiots is going to be so excited about this. If I make my own pumpkin purée, I do as commenter Lee does and drain it in cheese cloth. But I’ve never thought of doing anything with the resulting pumpkin water. Hmmm. I’ve found le butternut at Raspail (I know, I know). Hi David: I wonder if you have come across any great recipes for pumpkin cookies. I’ve found plenty of bar recipes, but nothing cookie-formed. Thanks for your great site! This is perfect! In the South at Thanksgiving the temperature can sometimes get in the 80’s. This would be a great dessert after all the turkey and trimmings. It made my mouth water just reading about it. Thanks so much. This looks amazing. I’ve never had much luck with ice cream making but this is definitely tempting me to try again. I love the idea of this with something gingerbread-y. I’m not a huge fan of either flavor on its own, but together it somehow appeals to me as more than the sum of its parts. Lee> I never tried, but maybe you could do some pumpkin cider instead of apple cider ? when there’s sugar you can make fermented alcoohol. I suppose that any homemade cider recipe would work if the sugar amount in the pumpkin juice is set properly, even with some more added if necessary. 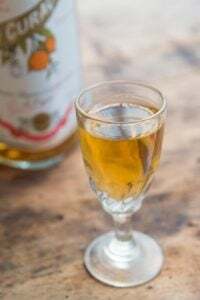 Flavoured with spices, that could be the perfect holiday drink :D.
If you don’t like/want cider, maybe you could also reduce the juice and add sugar to create some nice pumpkin flavoured sirup. David, you are on one heck of a roll. First the poached pears, then sidecars, then the tart and now pumpkin ice cream! My waistline can’t take it. Oh, yes it can. This weekend I make the pumpkin ice cream. Thanks. And I’ll be drinking sidecars while it is churning. noelle & christine: Well, there were only 2 butternut squash left in the store and I had to buy them both. That long one, for some reason, no one else bought. And I thought it needed a good home! karen: Thanks, I fixed the link. 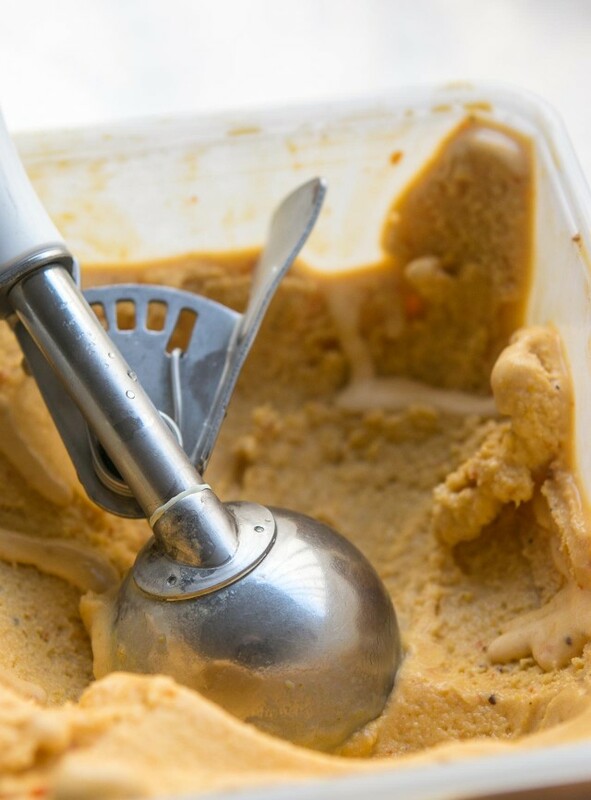 David – I made a butternut squash gelato last week and posted about it a few days ago. It’s a recipe by Pino Luongo that is similar to yours, but also adds cardamom. I added some rum to it, as you did too. Your variety is much more orange than the ones I grew. I have some beautiful sparkling decorating sugars, but they melt when you put them on top of icing. What is the proper way to use these so they retain the sparkle. (Sorry for being off topic. I know you have lots of different forums for answering questions, but I like/read this blog the most). And, I think you are awesome. 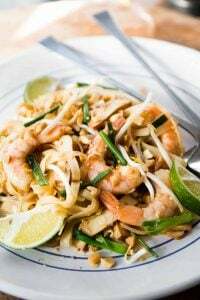 A fabulous recipe today that I just might do for our upcoming expat dinner. I am mad for all kinds of squash like this & grow a lot of varieties in the potager in Normandy since they have been almost impossible to find in Paris. However, now I am finding the butternuts plus other varieties at Raspail market. Hooray—apart from the cost of course. There is a wonderful annual festival in the south of France for these magnificent vegetables, which I always miss for some reason, but will go to at some point. carol: Isn’t it interesting that these kinds of légumes oubliés can be expensive at some markets? I’m sure when they’re raised by smaller farmers, the costs are understandably higher. But they are the easiest thing to grow. btw: I paid €1.99 for each butternut. I don’t know how much they would be as the Raspail market, but I just joined a CSA and perhaps I’ll find one in my basket next week. David…have you ever found a store called Espace Fraîcheur or Grand Frais ( http://shedefan.over-blog.com/article-13311706.html )? I don’t know if there are stores of this concept in or around Paris, but in the département of Allier & Puy de Dôme, I can find almost any produce that I have found in the US. They are terrific, and I find things there that I’ve never heard of: e.g. “ornithogale” or “asperge des bois” ( http://chefsimon.com/asperge-bois.html ), which was really interesting and delicious. By the way, your Herbed Ricotta Tarte was wonderful…..thank you. “I was passing by Ed, a discount supermarket which is frequented by folks of lesser-means and found two giant specimens, ready for my taking.” Go Ed stores!! I am with Krysalia up there — and I have to add that the Leader Price near me, which is my main shopping gig as it is so inexpensive (being one of those lesser-means folks), has good quality fruits and veggies, especially the ones in season, at very low prices. I just bought some potiron there last week and baked it up to make a purée for soup. I am so very happy to see these veggies in stores/at markets again, too. I vote you serve the ice cream with gingerbread. That is making my mouth water just thinking about it! Lee & Barbra : re using pumpkin liquid : I always freeze mine to use as a base for soups & risottos – a simple way of adding a wonderful flavour! I don’t know about in Paris, but in the UK Lidl stores always have great vegetables and fruit – not as wide a range as the main supermarkets, but seasonal, and much more locally sourced. (Incidentally, did you see Clotilde’s recipe for Jerusalem artichoke soup? 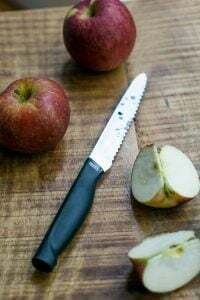 She also discusses the legumes oubliés, including swede (rutabaga) – never forgotten in this country and a staple – and the eponymous Jerusalem artichokes (topinambours), which I have been able to find in farmers’ markets these past two years. Butternut squash is available here all year round in every supermarket, but the one I am just finishing now was grown by my mother. I found a butternut squash from an organic stall at the Popincourt market this morning (as well as an 18-inch daikon radish that I quickly hid away in my basket to avoid stares!) but it wasn’t cheap. All the producteurs and other stalls seem to have potimarron. Maybe that would be a nice stand-in for ‘le butternut’? What a unique idea! I love pumpkin things. I have some pumpkins from my garden looking cute on my dining room table and I’ve been saving them for something special! Maybe this is it…. I love that butternut squash is called butternut in France, I wonder how they pronounce it, booternoot? Thank you! I was just about to ask for this myself. We didn’t get around to carving all of our haul from the pumpkin patch, and I’ve now 7 c. of puree in the freezer (and soup in the fridge and muffins in the bread box). I made my first pumpkin puree (well, ragu really, my blender is currently imaginary) with a pumpkin from Trader Joe’s, it was called a fairyland pumpkin and looked a lot like the one in your photo above (and those in Cinderella). Did you find it to be slightly stringy? Would you reccomend it over a sugar pumpkin? It’s pronounced more like ‘beu-teur-neut’ (like the vowel sound in ‘beurre’) with more pronounced T’s than in American English. Perfect timing! I just baked our one pumpkin that we managed to grow this summer in our garden and was trying to figure out what to make with it. And voila, there was a recipe on your blog. I didnt even have to go to my usual recipe websites. Thanks! I have a butternut squash sitting around in my pantry for a week now. I was debating on whether to make a soup, muffins or pie out of it but ice-cream certainly beats them all. They would also be the perfect accompaniment with those soft ginger cookies you made awhile back. I love how you David-ize all of the recipes on this site!! I always trust them so much more because of that! I’ve had a soft spot for pumpkin ice cream ever since I first tasted it at Herrell’s in Northampton. It’s amazing with hot fudge. I’ve made only one attempt at pumpkin ice cream in the past, ending up with good flavor, but a grainy texture. Looking forward to trying this – thanks! 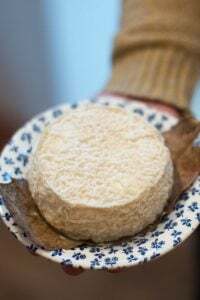 Love the recipe and the photo of les butternuts–can’t take my eyes off one of them–while I laugh at the image of you walking down the streets of Paris with it. I will use this recipe for the pumpkin profiteroles I’m making for Thanksgiving dinner. Oh David, where have you been all my life! I found your site through Smitten Kitchen blog and am in love…well, in love with your posts and pictures, anyway. I just bought an ice cream attachment for my KitchenAid mixer and I will be trying this recipe to break it in (along with the chocolate spice cake). While I have always enjoyed cooking and baking, it is only recently that it has become a love affair. My coworkers are adoring my new obsession almost as much as I am. 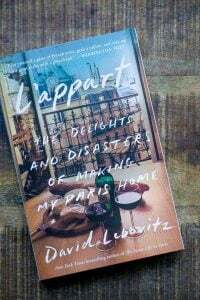 Thanks for the great recipes, I look forward to trying many of them out and perhaps, one day, taking a gastronomical tour of Paris with you (well a girl can dream, can’t she?). You just made my day… anything pumpkin is OK by me! Perfectly seasonal! I like to make my own pumpkin puree as well. After a few years in the closet, my ice cream machine is back in the freezer for the great joy of my husband and kids. Even though we live in the US, pumpkin ice cream is not that ubiquitous (I tend to say that Americans seem to either carve or can their pumpkins)… We found some, once, at Trader Joe’s (not sure it came from the US, though! )… so I am delighted you published this great recipe. I’ll make it soon before all the pumpkins disappear from the markets to leave room for oversized turkeys! Bonne chance to find other legumes oublies in Paris… maybe you’ll get more luck at a farmers’ market. 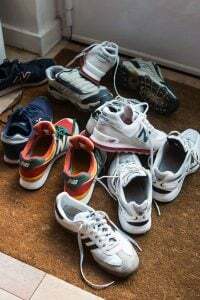 My mother told me that there were plenty in Mortagne-au-Perche! ps. I made your Guinness-Chocolate (Recchiuti) ice cream for a Halloween party – it was a huge hit. Thanks again! The intimidating one is actually a Tromboncino. Not as sweet and nutty tasting as a butternut but very tasty when simmered in a thai red curry sauce. Believe it or not, the pumpkin in Libby’s canned pumpkin is actually some variety of squash. Molly: I’d always heard that it was a variety of squash they used, too. According to the Libby Pumpkin site, they use Dickinson (C. Moschata) pumpkins which look similar to butternut squash. It would make sense, since the flesh is firmer with less water, and they’re likely easier to process. Folks like the sound of ‘pumpkin’ in their pies and ice cream, so one could use the ‘pumpkin’ filling, or fresh, like I did. Molly/David – I think the distinction between pumpkin/squash differs from place to place and is largely based on tradition. In Australia we tend to refer to the “winter squashes” as pumpkins – e.g. butternut is known as butternut pumpkin rather than squash – so the ice cream would certainly be pumpkin ice cream here. Recipe looks interesting – pumpkin is predominantly a savoury vegetable here, not used for desserts. I thought you were mad, pumpkin ice cream? Glad I tried it before commenting, its absolutely delish!! Pumpkin ice cream? I haven’t try this one? Is it yummy? here in brazil we have a lot of different ice cream flavours, like corn, tapioca, doce de leite and all kinds of exotic fruits, but i’ve never had pumpkin ice cream before. and i know from experience that the french aren’t really that fond of potiron, well, not like here in north/south america, at least. not a problem, though, your photos have totally convinced me i should try it! 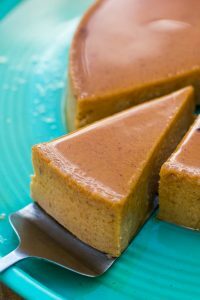 i just could not find the recipe for the homemade pumpkin puree here in this post…. could you give me a clue of where i could find it? isabel: I gave my method for baking squash in the post. There’s also a good tutorial at Simply Recipes on How to Peel and Cut a Butternut squash. If you’re interested in another method of preparing pumpkin, click on the link in the post for “sugar pumpkin”, which will take you to a description of how to do it by steaming. Stumbled upon your blog recently when I was reading up on making ice creams. Happy I did. I was planning to make pumpkin and heavy cream frozen pie (mixing both with spices and freezing them) for my friends. I had a couple of questions. If I have a small pumpkin that I am baking, at what temp should the oven be? Would 350F be fine? Secondly I was going to add some Balvenie single malt to the same. 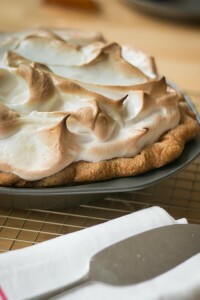 Is single malt a good additive to this pie I am thinking of, or would rum be a better complement? Looks so damn good! Gonna have a look out for these pumpkins in my supermarket up here in Umeå (Sweden) but I doubt I can find them. Lucky you! If I had been drinking something I would have spewed when reading about hauling home your well-endowed squash! I make one of your ice creams every Thanksgiving or Christmas – so this will be the one. I can not wait! :D I have tried in vain to find a really good pumpkin coffee, and have not found it (no not even SB’s – which I am not a huge fan of…) So I will make this and add it to my cold coffee (toddy coffee maker) with a touch of ice. Of course everyone else can eat bowls full – but me, I gotta get back on the no carbs, dairy bandwagon. 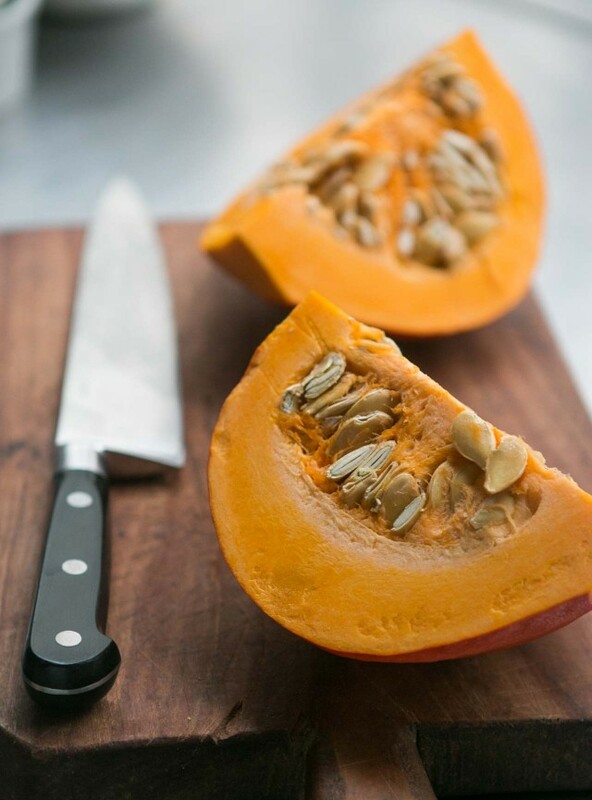 One thing I love about being back in the States – are all the pumpkin, squash possibilities. Here I thought it was safe to take the insert to my Donvier ice cream maker out of the freezer for the winter. Ha! Back it went and the custard (which seems like it would make an excellent eggnog) is chilling in the frig as I write this. I thank you but my hips do not! Amazing idea! What a festive way to incorporate pumpkin. I have got to try this. oh this is so good. i just made some. so so good. thank you for this recipe! Huge fan of your ice cream recipes (Salted Butter Caramel is my favorite!) and made the almond tart a few days back (my god!). So, I have tried this recipe three times, and all three are massive fails. First time, I used maple syrup instead of sugar (less than 1/3 cup in with the milk and spices). As introduced the tempered egg yolks in to the milk mixture and was bringing it up to temperature, curdling occurred. Second try, same as first but brought the temperature up very slowly, and curdling occurred before I even got the egg yolks in. Third try, I thought I would opt out of the maple syrup and go to sugar (though I couldn’t have imagined this was the issue), again, curdling before the eggs were added. What gives? Any clue? What temperature would you recommend for the beginning milk + spice steep? Is it the ginger? I can’t imagine that I can make amazing salted caramel ice cream, and a beautiful and very tasty almond tart, but can’t make this pumpkin ice cream. Hi Justin: Because of the acidity, maple syrup shouldn’t be cooked in a stovetop custard such as this, for the reasons you experienced. Karen’s original recipe calls for cooking the custard with the brown sugar, which I wasn’t sure about (brown sugar is acidic as well and can cause curdling) so I added it after the custard was done, and didn’t have any problems. Fresh ginger can be problematic but it’s such a small amount in this recipe that I didn’t have any curdling with just 1 teaspoon so am not sure what advice to give to make it work for you other than try blending the custard and seeing if it comes back together. i googled pumpkin ice cream and got your recipe…I had been to NEW SEASONS market and they had a gorgeous pumpkin gelato (and eggnog too) that I could not bring home (too many other places to go). It looked so rich and creamy I knew I had to make some for Thanksgiving along with an apple tart…yum! Thanks for the recipe. I’m sad as well after two failed attempts. Both were exactly as the recipe was written (no maple syrup), EXCEPT for ground nutmeg instead of grated, which I’m fresh out of and the store was closed. Both times the milk/cream mixture curdled before adding the yolks, and in the first attempt I added the yolks (they didn’t scramble) and whisked it like mad, but as soon as I stopped I could see it start to separate. It didn’t give me much hope for refrigerating it. Is there a higher acidity in ground nutmeg than in whole? Am I doing something wrong with the grated ginger? Should I strain the juice out of it before adding it or something? Would dried ground ginger have a better success rate? Any help would be appreciated. Thanks and keep up the good work! p.s. – I didn’t notice the separation until the milk mixture was pretty hot, if that makes any difference. Thoughts? There isn’t anything in spices that I know of that can make a custard curdle, unless perhaps you’re using them in very high quantities. Fresh ginger can make that happen, which is why I usually blanch slices (heat them in boiling water for 2 minutes) before infusing them. I used fresh here, as indicated by Karen’s recipe, and it worked fine, but that would be my last suggestion. Otherwise you’re likely overcooking the custard: use an instant-read thermometer and don’t cook the custard above 170ºF, then chill it quickly over an ice bath. If memory serves, Chow in San Francisco (and Park Chow), serves a gingerbread with pumpkin ice cream and caramel sauce. Tea: Yes, I know that Gingerbread recipe well! I just made pumpkin ice cream yesterday to serve with a pumpkin/pecan/bourbon pie. Very similar to this recipe except I used half and half instead of milk and cream and In keeping with the bourbon theme I added a tablespoon of bourbon at the end of the processing time. I did think it would freeze better if the bourbon was added at the very end of the freezing process but sounds like that was an unnecessary precaution? Tastes wonderful and thanks for some thoughts on how to use and serve at times other than Thanksgiving! I did this ice cream for our Thanksgiving celebration, exactly as written, and boy let me tell you — it not only turned out perfect, but also very creative and a great addition to our desserts at Thanksgiving. I roasted and pureed my own pumpkin for this. I am sure I will be getting requests for this again so I have noted the recipe. Thank you, David. David–thank you so much for a great blog. I finally broke down and ordered the Cuisinart ice cream machine that you recommend (and a copy of The Perfect Scoop), and this will be the first ice cream I make in it. Do you know how candied pecans or walnuts behave inside ice cream? Do they keep their crunch or does the sugar coating melt away? Cecilia: They should be fine and retain their crunch. Enjoy the machine..and the book! When I told my husband that I was making pumpkin ice cream his face did not light up how I imagined, but than he tasted it and he was surprised to say the least. He loved it and so did I.
I just made this for a family Christmas party of 8 people, and the whole batch was consumed in less than 7 minutes. The first person I served finished theirs and asked for seconds (there was none) before I served myself. I served it with a chocolate-orange cookie crumble topping. It was amazing! It was definitely the best ice cream I have ever made! I was wondering if you could suggest a way to alter this recipe to make a frozen yogurt? I love pumpkin frozen yogurt and can’t seem to find any recipes for it. hmm… i got a science lesson when i made this. the ginger (i think?) curdled everything. maybe i had some muntant ginger. i see now that another person had this problem as well. will blanch the ginger next time and try again! thanks. I made this tonight for a Halloween celebration and it was a hit. Tasted like pumpkin pie–delicious, thank you! Note, I did have to make a few minor alterations. I didn’t have fresh ginger, and am allergic to cinnamon, so I used ground ginger, ground nutmeg, allspice and coriander. I only had light brown sugar, used that and accidentally put it in early as per the first recipe along with the vanilla (it turned out fine). I was short on cream by 1/4 cup, so added the equivalent in whole milk and about 1/3 cup of dry milk to beef up the body. Yeah, I totally changed the recipe. ;-) Since my whisk disappeared (perhaps my 3 year old took it…), used my immersion blender for all the blending and it worked great. No issues with curdling. Could it be that age of the milk or cream? I know when I make homemade yogurt, I have had curdling when the milk was a bit older than I’d like. I made this ice cream yesterday and the flavor was great. My only problem was that the final product turned out very icy. I’m wondering if te larger ice crystals were a result of the pumpkin I used? I roasted my own and maybe the variety I used was too watery. I also added the pumpkin to the chilled base when the pumpkin purée was still warm…maybe the heat destabilized the emulsification and caused the water to form larger crystals? I’d love to hear your thoughts… Thanks! Canned pumpkin has a lot less water than most purées made with fresh pumpkin, which is why many cooks use the tinned. It’s not just easier; but it’s easier to get consistent results. In my book I have a Sweet Potato Ice Cream which tastes similar, but sweet potatoes are more dense and less-watery. Also make sure the mixture is very, very cold before churning; I normally let ice cream bases chill overnight before churning to avoid ice crystals. I made this following Karen’s recipe and have it churning in the ice cream maker right now. I noticed that her recipe does not say to return the custard to the stove, which I thought was odd, but I went with it anyways. When I took my chilled custard out this morning, it was completely separated. I whisked it back together and it seemed fine minus a little curdling, which I strained out. I’m wondering if the ice cream will be ok and safe to eat even though the custard was not actually cooked. Her recipe does not say to re-cook the custard but in my adaptation here, in Step #5, I have you return the pot back to the heat and cook it until it reaches a certain temperature. In any instance where you have concerns about using eggs that aren’t to be cooked, buy eggs from a trusted source. This ice cream looks wonderful and I want to try it out. I have never made ice cream and have a question. After you heat 1/2 the milk mixture with the eggs, cook it, and chill it…what do you do with the remaining 1/2? Does that just go into the ice cream maker? The milk that is used to warm (or ‘temper’) the egg yolks is poured back into the saucepan, where the other milk should still be, and finished cooking. Ha, I’m an idiot…I don’t know how I missed that. I will blame it on having three young children :-) Making the custard right now. I substituted sweet potatoes for the pumpkin. Then, added crumbled graham cracker, right at the end of the churn. It came out, amazing. I just wondered why you stipulated Kosher salt in this recipe? Its not quite so common here in the UK, unless I head off across London to the nearest Jewish deli. Can I replace the Kosher salt with Rock salt or are there differences to know about? Kosher salt was indicated by the original recipe. But you are welcome to replace it with sea salt or another mild, flaky salt. It’s a rather small amount and just a bit is needed to augment the flavor. Hi David, These all look like great ideas. Unfortunately, the link to the cherry chocolate cake goes to the pumpkin ice cream – any chance of getting it fixed, because it sounds like my kind of cake? Cakelaw: I don’t see a link in this post to my chocolate cherry fruitcake recipe but you can find the recipe on my Recipes page. Similarly you can also use the search engine at the top of the page to search the site. I’ve been making ice cream for awhile and I was very meticulous in following the directions; however, it did not come out at all. The puree was not tasty, which I attribute to the homemade puree. The puree basically turned my cream orange, but failed to taste creamy and squash-like. What should I have done different and how can I make the ice cream more edible now that I’ve made it? It just tastes like a block of cream. Thanks and I love your ginger cake! cheers: If your pumpkin puree doesn’t taste good then your ice cream won’t either. I have a recipe in The Perfect Scoop for Sweet Potato Ice Cream, since they reliably have a better flavor, but people seem to want ‘pumpkin’, so I presented the recipe here. 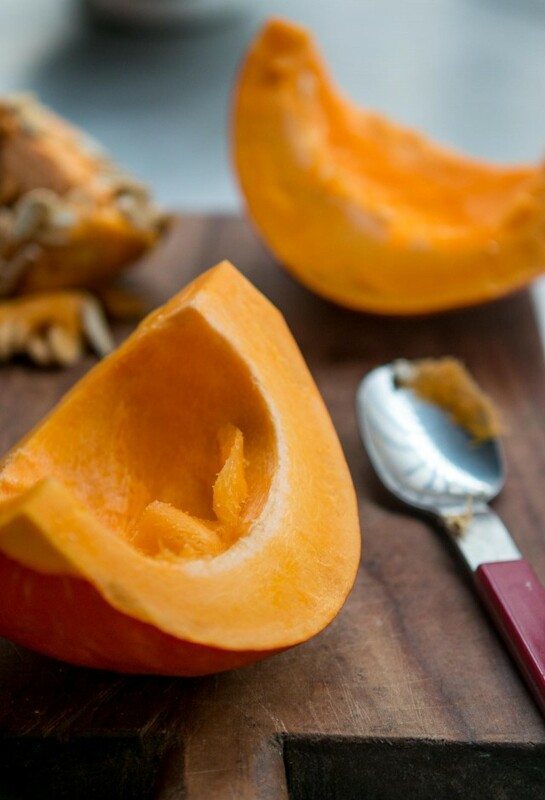 Next time try using a butternut squash in this recipe or even canned pumpkin. Happy churning!